Although not many people are aware of it, there are in fact many different chiropractic techniques. Not all chiropractors examine their patients in the same manner, nor do they adjust their patients in the same manner. Although the majority of chiropractors do treat their patients in similar ways, some doctors have taken it upon themselves to stand out from the rest and provide a better, more specific and scientific approach to treatment. Chiropractors are generally taught the same adjusting techniques in chiropractic college, but some doctors (like Dr. Byma) have gone the extra mile to learn more than the bare minimum. The Gonstead technique differs from other techniques in that it is based on biomechanics and years of research by one of the greatest minds in chiropractic history; Clarence S. Gonstead, D.C. Due to the fact that Dr. Gonstead was a mechanical engineer before becoming a chiropractor, he had a unique outlook on how the body moved and functioned. Using this background and extensive research on human cadaver spines, he developed a very unique and biomechanical system of analyzing and correcting spinal misalignments. Dr. Gonstead's revolutionary system brought him both national and international acclaim, and he was known as a "chiropractor's chiropractor". The Gonstead Clinic located in Mt. Horeb, Wisconsin (pop. 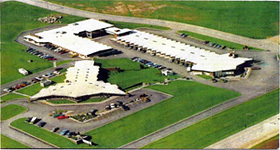 4,000) grew to be so large that a hotel needed to be built adjacent to the clinic in order to house all the patients that traveled from all over the world to be seen by Dr. Gonstead. Using his brilliant mind and lifetime of experience treating over one million patients, Dr. Gonstead was able to develop and refine his technique which is now taught and practiced by chiropractors all over the world. The Gonstead technique is unique because it is thorough, complete and specific in both analyzing and treating the spine. The Gonstead practitioner addresses your entire spine when evaluating for the presence of vertebral subluxations (spinal misalignments producing nerve interference or irritation) which cause ill health. Gonstead procedures are the result of extensive clinical research by Clarence S.Gonstead, founder of the world famous Gonstead Clinic of Chiropractic in Mount Horeb, Wisconsin and his associates. 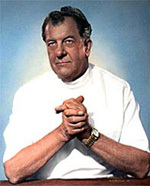 Doctor Gonstead's fifty-five years of continuous practice and over four million chiropractic adjustments resulted in the most complete method of biomechanical analysis available for use by today's doctors of chiropractic. So why don't all chiropractors use this technique? Because the analysis takes more time and mastering the art of delivering a specific adjustment takes a LOT of practice and dedication. Visualization - Visualization is a way to cross reference all the other findings. Your chiropractor is an expert in looking for subtle changes in your posture and movement which could indicate any problems. Instrumentation - The instrument of choice in the Gonstead System is the Nervoscope. The Nervoscope detects uneven distributions of heat along the spine which can be indicative of inflammation and nerve pressure. This instrument is guided down the length of your back and feels like two fingers gliding down each side of your spine. Static Palpation - This is simply the process of feeling (or palpating) your spine in a stationary (or static) position. Your chiropractor will feel for the presence of swelling (or edema), tenderness and any abnormal texture or tightness in the muscles and other tissues of your back. 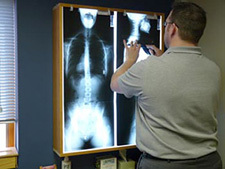 X-Ray Analysis - x-ray films enable your doctor to visualize the entire structure of your spine. This is helpful in evaluating posture, joint and disc integrity, vertebral misalignments and ruling out any pathologies, or recent fractures that may be present or contributing to the patient's condition. These radiographs are taken in the standing, weight-bearing position to fully substantiate the examination findings. For more information on the Gonstead Technique, visit our Photos/Video page to see a video. Unfortunately not all Gonstead chiropractors are listed in this directory. If you have trouble finding one in your area, Dr. Byma may know of some that are not listed, and he would be happy to assist.